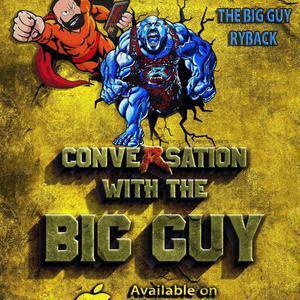 Audioboom / Conversation with the Big Guy Ep. 43: New WWE Network Show Ideas!!! No More Tequila for Pat. Switching it up! It was a great week! Ryback’s Stem Cell Procedure. Ryback the Pirate. D-Bry, the Big Guy and Pink-Eye. The eyes are the windows to the soul. What makes Pat Buck angry as F*CK? If you’re not in PWG or ROH you don’t matter. Crazy Week for Pat Buck. Pat’s being haunted. Ryback the Valley Girl. Um’s and Likes. The old Zika Virus. Everyone’s having babies. Congratulations Pat. Pat needs to borrow a baby. Was Ryback an accident? Was Pat an accident? WrestlePro Keyport NJ Success! A touching Beth Phoenix story. Wrestling Conventions. Song of the week! Feedback More!!! Feed me if you need me! What does SNOG really mean? Wrestling News!!! Let’s talk WWE Ratings. Thoughts on Bray Wyatt’s personal life being put out there. Dirt Sheet Reporters and T-Shirt Ideas. Connor McGregor vs Mayweather thoughts. Some Raw Talk. Reviews of the Week! Does Vince take Pre-Workout? Justin Gabriel’s Base Jumping Injury. The Crippled Nexus. What’s Pat’s favorite Ice-cream? Ryback driving Half Baked. Ice-cream Mugshot. Don’t become slaves to your phones! And the Main Event, New WWE Network Show Ideas! Follow the Big Guy on Twitter @ryback22 and check out www.FeedMeMore.com for official gear, loads of multimedia, and announcements you won't find anywhere else. Conversation with the Big Guy Ep. 33: Wrestlemania Review and Bad Infections! Conversation with the Big Guy Ep. 26: WORST MATCH EVER!! !